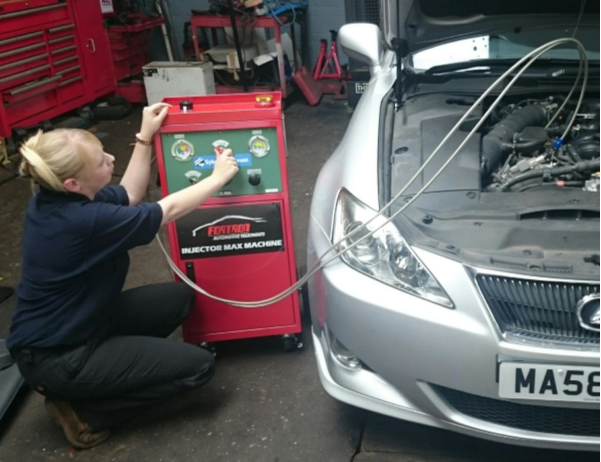 The service we offer uses the latest technology , to clean the engine from the buildup of carbon and other deposits , restoring vehicle efficiency, improving MPG and reducing harmful emissions. Done spendings hundreds of pounds replacing your injectors , which may just need a clean. Is this better than the pour-in cleaners ? YES Fortron system cleans the injectors through the combustion process and cleans post combustion too. Is this suitable for my vehicle? If it has injectors then its for you.!! Cars , bikes, boats , trucks minibuses, lorries and more. This will vary slightly on make and model of you vehicle , but prices are around £90 depending on the size of the engine. It is recommended every 15000 miles and less if you do mainly town driving. Is it harmful to my engine ? It removes the harmful deposits and returns the engine back to original clean state, with no known side effects. Yes this would also benefit from this service. Fortron Injector Max Premix Diesel RTG fuel system cleaner is a premium quality solvent designed to clean fuel injectors, fuel rail, and valves on diesel vehicles.